We have been asked “What is Land Pollution”, quite a few times recently so we wrote this article. Land pollution (pollution of land) is a serious issue in many locations around the world, it is caused in a variety of ways, and varies greatly in its severity. When it is caused by industrial activities it is often called “contaminated land”. However, there are parts of the world where land has the same characteristics as polluted land, but when the toxic substances present are naturally occurring. These areas are not strictly described as polluted, such as where there are large natural mineral deposits and dissolved heavy metals are present. 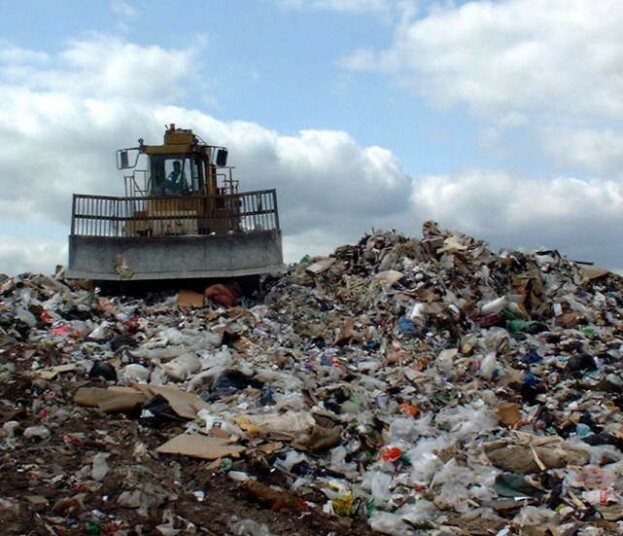 Many old landfill “tips” are being classified nowadays as contaminated land, due to land pollution with waste. Land pollution, by definition, occurs when a substance (often the by-product of human activity) exceeds the capacity of the land to absorb the contaminants physically, or the biological ecosystem to handle it. Land pollution can be present as a hazard without causing any significant human risk if it remains in-place, and none leaks out or is absorbed by vegetation and enters the food chain. However, land pollution can pose major problems when hazardous substances, such as toxic industrial waste, come into contact with the water stored in the soil, which is known as the groundwater. The result is contamination of the water in the land and that water, and if it slowly percolates through the land below ground, which is quite normal in most types of geology, it will usually also run into streams and rivers down slope from the polluted land. This contaminated water then starts polluting the watercourse from which animals and humans will often need to drink. Land pollution can also cause health problems when toxic waste materials get into the air. This is much rarer, but it can happen when the land is dry and there is a lot of dust created which blows around and get into our lungs and onto our skin. Organic land pollution is one of the signs that humans have exceeded the limits of the ground to absorb and process, or organically “break-down” (compost and digest) organic matter. 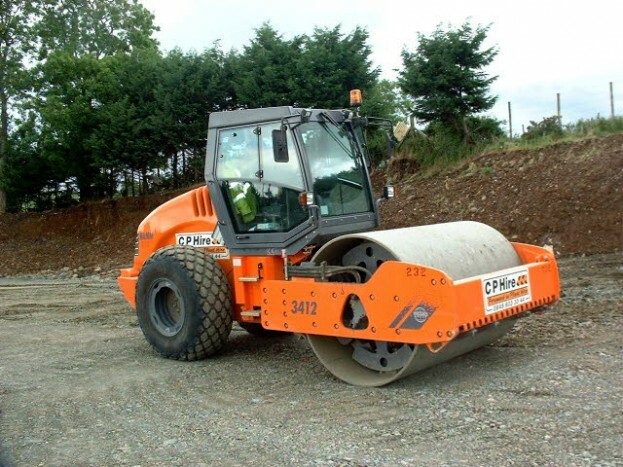 This can occur if for example too much sewage sludge, or manure is placed on the land. Sewage sludge application rates to land are therefore very carefully controlled in most countries, and as a result this is very rare. Agriculture can be a very serious source of NPS because there are so many kinds of pollution generated. The two most common pollutants from agriculture are nutrients and sediments. Water pollution is often classed as point-source or nonpoint source pollution (NPS) and non point-source pollution is caused by land pollution. Farm-land nutrients pollution can cause water pollution if the application of crop fertilisers by famers is excessive and is washed of the land into rivers. This can raise the concentration of nitrate in rivers to unhealthy levels for drinking water, if not controlled. The regulation of fertiliser use is being improved all the time in order to minimise nitrate pollution in rivers and streams, and this is not a health concern, in reality. Just about any land pollution can cause river pollution. We have cited agriculture already, but at times, forestry, septic tank systems, urban runoff, construction sites, habitat degradation can all constitute risks as potential sources of land based NPS pollution sources. Acid rain also in a sense, produces land pollution, due to reducing the pH (making the land more acidic), which in turn leaches heavy metals out of the soil, such as copper and aluminium. Copper, for example, when taken into the body causes damage to the kidneys, liver, and spleen and the rise in acidity mobilises much more of these contaminants from the natural minerals in the land. Acid rain from the land it pollutes can also contain sulphates, which at high levels, can possibly harm some fish in rivers, and plant life in lakes and rivers. Sources of biological land pollution include treated and untreated human sewage, organic pollution from other sources, and animal waste. Sources of hazardous waste land pollution include industries, hospitals, and on rare occasions laboratories. Oils, inorganic minerals, and chemical compounds are the primary types of waste run-off from the contaminated land produced by industrial activity. In the case of industrial runoff, there are a number of ways the water can be treated to solve the pollution problem before it ever reaches the surrounding rivers.Contaminated land clean-up is a major industry in the industrialised nations, and will become so in the developing nations as they become more affluent. Some consumer goods such as leather and sugar are associated with high levels of pollution due to the way in which they are processed and manufactured and if these wastes are disposed to land without processing to remove the toxic substances present, will cause land pollution. People and governments worldwide are now paying attention to the damage this human behaviour has caused, and are taking measures to control the world’s land pollution problem. 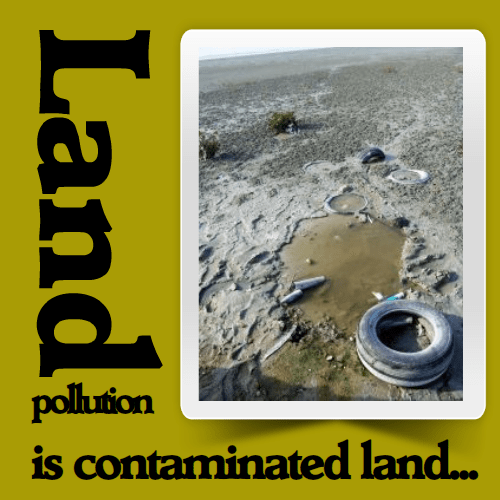 One Response to What is Land Pollution? It’s a fact that you can’t easily see the poisons that seep from underground mines, the garbage we tip into landfills by the truckload, or the way the very soil that feeds us is turning slowing to dust. Strongly like this article. Well done. see the website.